Glide down the slopes and end up in a warm ski lodge! 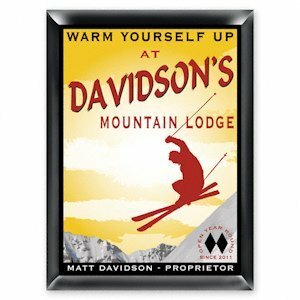 That is what your guests will think of when they see your Personalized Ski Lodge pub sign. A colorful background includes snowy mountains and a high-flying skier. 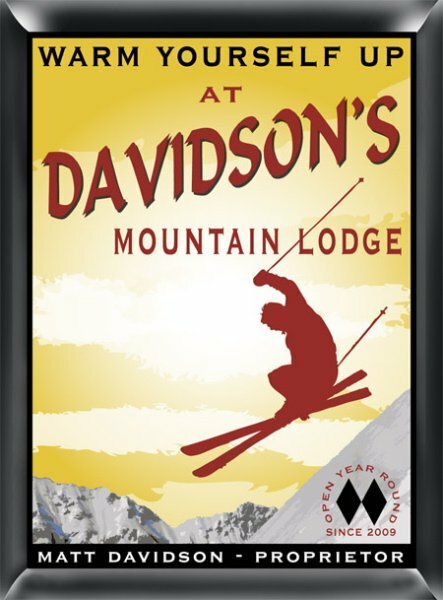 Perfect for mountain home owners or lodge operators, this pub sign includes first and last name and year established. The traditional series of personalized signs measures 9" x 12" x 1/4". Each design is printed directly onto the wood composite sign base for lasting quality. Comes with plastic adhesive wall hanger.